BLUETOOTH FUNCTION:100% brand new!! Compatible with Advanced Bluetooth Version 4.1+EDR System Cellphones, devices providing the Bluetooth Headset. AMAZING SOUND: Deliver you powerful bass and high quality audio experience of stereo sound with Bluetooth technology. SPORTS DESIGNED:Featuring an unique neck-strap and Ultra light weight designed Specially for easy carrying for all day comfort. 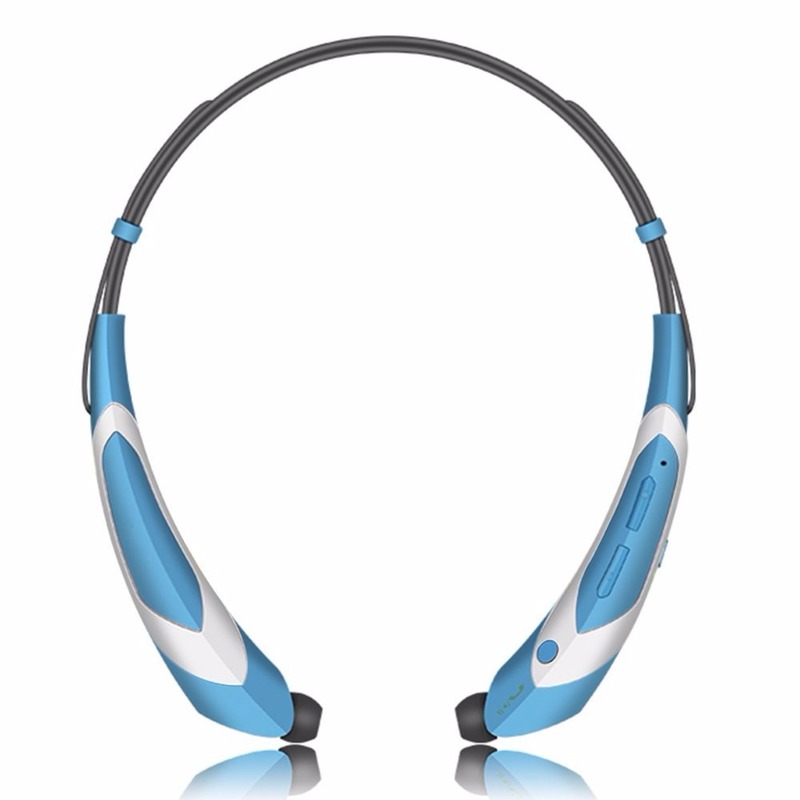 The flexible, bendable, neckband style ensures a 100% comfortable fit. CONVENIENT USE: Easy to operate. You can play, skip and pause music, control volume and pick up calls. Vibration alert on power on and coming calls, and the battery level of these headsets will be displayed on your cellphone. UNIQUE EXPERIENCE: These headphones also supports Easy Magnetic earpiece storage, Noise reduction, & Echo cancellation. Bluetooth Function:Compatible with Advanced Bluetooth Version 4.1+EDR System Cellphones, devices providing the Bluetooth Headset. Amazing Sound: Deliver you powerful bass and high quality audio experience of stereo sound with Bluetooth technology. Perfect for use while enjoying your favorite sport. 1. Headset needs to be charged in the beginning. Slide the power switch to the “ON”position, you will see the red and blue light flash alternately. 2. On the device you wish to pair, find the Bluetooth menu and “search for” devices. Once the devices are paired, you will hear “Your headset paired”. 3. If the phone asks for a pass code, then the customer needs to input 0000.